Running a dental clinic takes more than the specialist skills of a dental practicioner. You have a business to run as well. 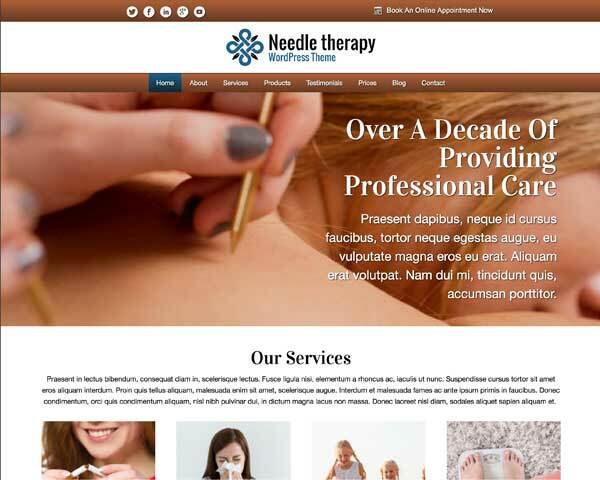 We've put our heart and soul into this Dental Clinic WordPress theme just as you have in your specific business niche. 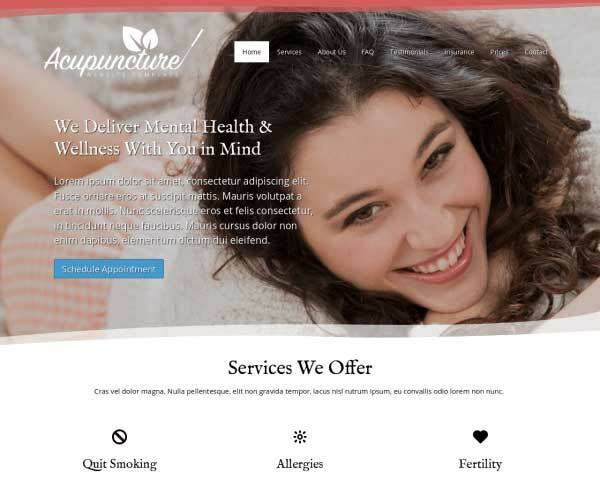 And we've made certain this WordPress theme will help you attain your business goals with a stunning design and great dentist specific features. 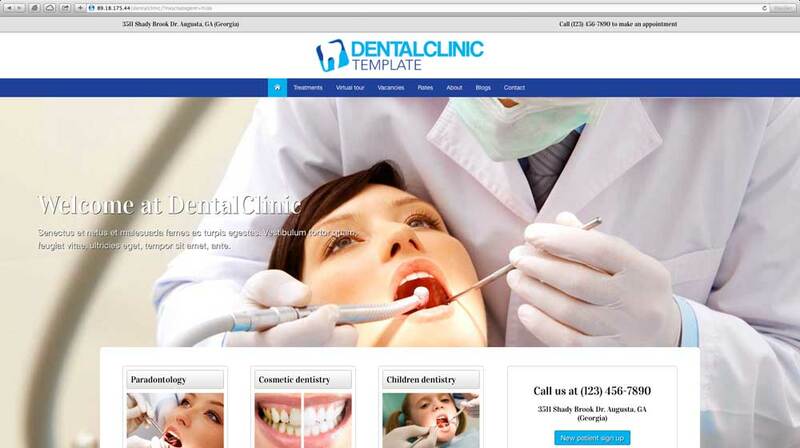 The Dental Clinic WordPress theme is the perfect theme for owners of dental clinics. Why? 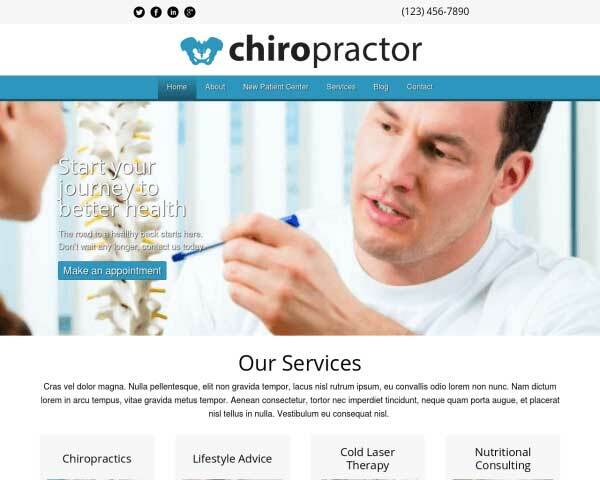 It packs a ton of features that help you set up your own dental clinic website the fastest way possible. With an eye-catching background slider, a helpful blog section, informative service pages and clear contact information you'll enable yourself to make the most out of your online presence. Don't just be a dental professional ofline, be one online as well. 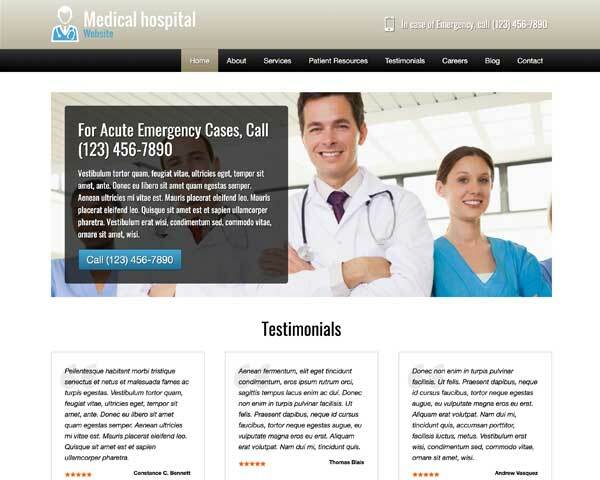 The Dental Clinic WordPress Theme is the first step in doing so. The Dental Clinic WordPress Theme includes built-in contact forms for new patient registration and prescription refill requests. Customize the form fields to suit your needs. 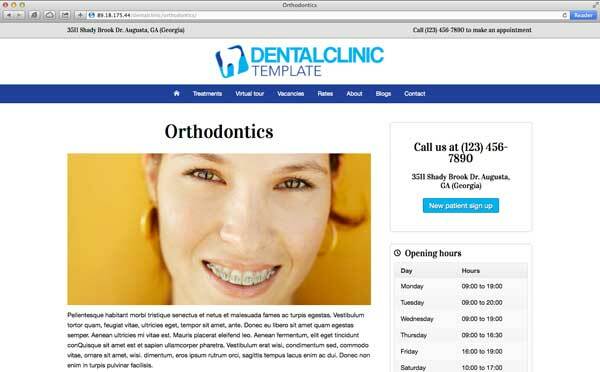 If you're in charge of creating the website for your business but have little time or web design skills, our Dental Clinic WordPress Theme will help you get a comprehensive website online fast! Visitors won't have to search for a way to get in touch thanks to calls to action prominently displayed on every page of the Dental Clinic WordPress Theme. A classic image slider is included on the homepage in the Dental Clinic WordPress Theme, grabbing visitors' attention right from the start. 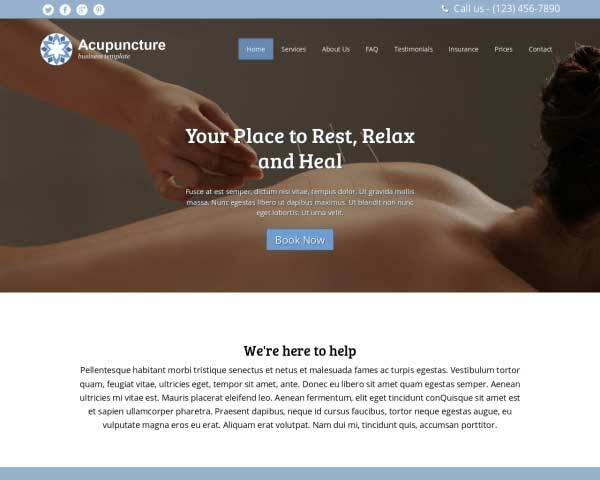 One of the most important pages on any website is a clear contact page, and this WordPress theme goes above and beyond with an integrated Google map, route planner and a customizable contact form. 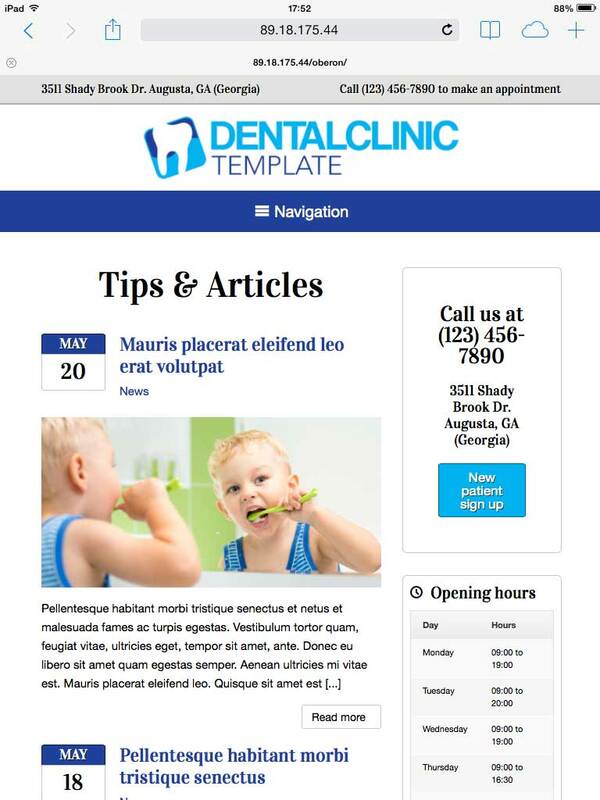 On the homepage of the Dental Clinic WordPress Theme, visitors will get an overview of your services in one glance. Clicking on a thumbnail goes directly to that service page. The Dental Clinic WordPress Theme features attractive icons for the most popular social media platforms, allowing visitors to easily follow you online or share your content on their own pages. 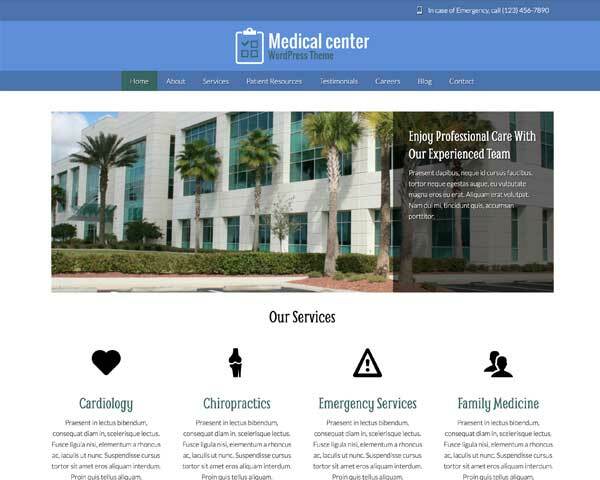 The Dental Clinic WordPress Theme's About Us is set up for you to describe your company profile and approach. Introduce each member of your team with a photo and a short bio. On the Careers page of the Dental Clinic WordPress Theme, you can list staff vacancies with detailed job descriptions and offer instructions for candidates to submit an application. As a business owner you know the ins and outs of your job, but that knowledge does not extend to mobile web design? 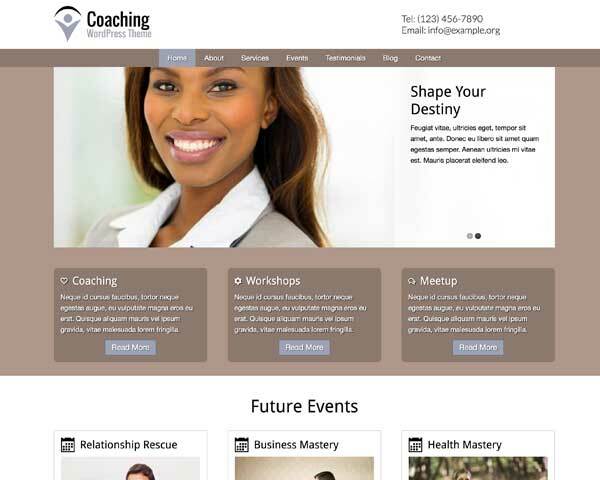 With outdated website designs, potential clients could have a difficult time accessing your website, leading them to the competition. How do you fix this? 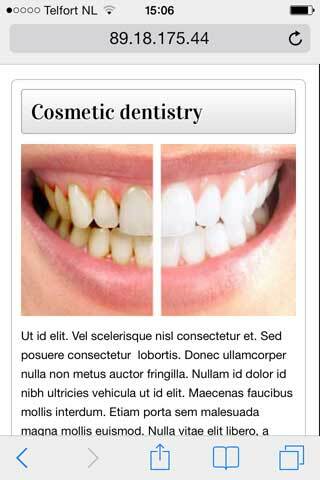 With the responsive Dental Clinic WordPress Theme. It automatically adjusts, so clients don't have to. 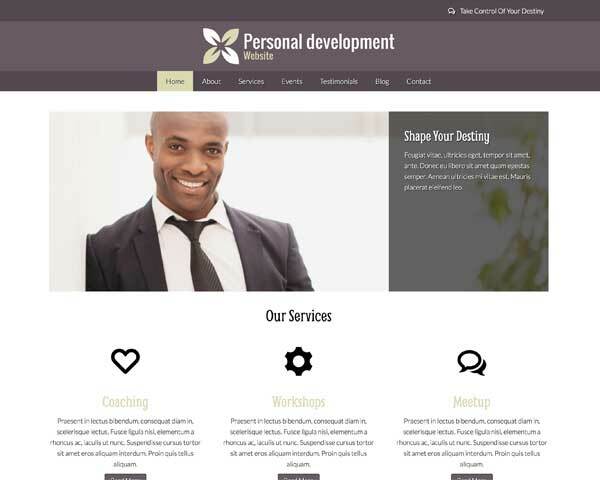 This premium template allows you to reach more clients, thanks to the theme's responsiveness.